After receiving a diagnosis of terminal kidney cancer, Michael Lee Lanning decided he still had a mind full of knowledge that he wanted to share. At the time, he had written twenty-five non-fiction books on the Vietnam War, other aspects of military history, sports, and health. Many were big sellers. As a result of his response to the diagnosis, Lee Lanning has written Dear Allyanna: An Old Soldier’s Last Letter to His Granddaughter (Hardy Publishing, 238 pp., $18.95, paper). He favors liberal-leaning values and dismisses undeserved recognition of authority such as a bow or curtsy to royalty based only on birthright. At the same time, he scatters tidbits of conservative guidance. At heart, Lee Lanning is a self-made realist who evaluates his seventy-year-plus journey through life to cull the pros and cons for lessons that simplify entry into adulthood. His target audience is teenagers. Occasionally his advice makes me recall Amy Vanderbilt’s New Complete Book of Etiquette, which is a good thing because Dear Allyanna sets a standard of behavior higher than normally expected of young adults. It does so, however, without mentioning finger bowls or silver place settings. Lanning’s book might provide the exact guidance that our grand-kids need. Practicing a regimen of “meds and treatments that nearly killed [him] before the disease could do so,” and fortified by a diet that defies imagination, he beat cancer and is alive today. Dear Allyanna nicely wraps up Lee Lanning’s two Vietnam War memoirs: The Only War We Had: A Platoon Leader’s Journal of Vietnam, and Vietnam, 1969-1970: A Company Commander’s Journal. The Marine Corps Way to Win on Wall Street: 11 Key Principles from Battlefield to Boardroom (St. Martin’s Press, 256 pp, $26.99) is a meticulously interweaving of basic Marine Corps strategies with business activities on Wall Street. The introduction, which at first seemed a bit lengthy, provided evidence of the merits of author Ken Marlin’s concepts. In fact, the Preface and Introduction alone could arguably be worth the price of the book. Marlin, an investment banker, will never be accused of not being a proud Marine. His admiration and respect for the Corps come charging through loudly and clearly. His belief that “once a Marine always a Marine” is the foundation upon which he has built his business career. Unlike many books based on Vietnam War experiences, in this one Marlin—who served as a Marine from 1970-81—jumps right into the business world on Wall Street. In a unique manner, he describes succeeding in the corporate world by incorporating the basic principles he learned in the Marine Corps. This reviewer claims no great knowledge of the workings of Wall Street, but after reading the book, I felt like I had gained a better understanding of the complexity of daily activities at the high levels of business. I began to understand how some of Marlin’s Marine principles were used and why they were effective. Marlin also uses events to show how the principles have worked—or not—in other wars, including in the Civil War and the Korean War. He served as a senior Marine officer on the USS Tripoli in the early 1970s, and uses every opportunity to describe how problems were solved through Marine ingenuity. Quick fixes of problems often lead to additional problems in the future. In his chapter “Take the Long View” Marlin uses the battle of Khe Sahn to illustrate what can happen when long-term objectives are unclear and winning is all that matters. “There has to be more to justifying the cost of a battle or a war than whether or not we won,” he writes. In the “Negotiate from the High Ground” chapter Marlin deals with business and corporate relationships on Wall Street, as well as international diplomacy, politics, and personal relationships. I found this chapter to be a kind of spiritual reading in which Marlin extrapolates the rules of conduct for the success of any group endeavor. The Marine Corps Way to Win on Wall Street is a powerful book for the business world and for anyone who desires to better his or her life and relationships. The latest book from author Gus Lee, a character-based leadership authority, is With Schwarzkopf: Life Lessons of the Bear (Smithsonian Books, 312 pp., $27.95). Lee also has written two other bestsellers: China Boy and Courage: the Backbone of Leadership. Gus Lee was in his junior year at West Point in 1966 when he learned he was in danger of failing. He then came under the personal tutelage of instructor Norman Schwarzkopf who, in addition to academics, mentored Lee on character, leadership, and the need to do the right thing, no matter how difficult. Even though Lee failed to graduate from West Point, his many hours spent in the company of then Maj. Schwarzkopf created a bond between the two men that lasted more than forty years. Lee gives the reader a close-up account of life at West Point through his own experiences, both positive and negative. He reveals a little-known side of Schwarzkopf—as a wise, insightful intellectual with unwavering personal values of honesty, courage, and commitment. Affectionately known as “The Bear,” his mentoring of Gus Lee helped Lee deal with his struggles at West Point and, years later, as a legal officer in the post-Vietnam War Army. Lee relates then Schwarzkopf’s experiences as an advisor to a Vietnamese Airborne unit. He earned Vietnamese Master Parachute wings, but in the process suffered a back injury that plagued him for years. Lee writes that Schwarzkopf wondered back then if he could succeed with an Army career–if he could “keep his damn mouth shut with rear-area types who never got muddied or bloodied and never lost a man.” Schwarzkopf managed, despite his legendary temper, to rise to stardom as the celebrated general who led the way to victory in the first Persian Gulf War, aka Operation Desert Storm. In 1991, the Bear declined the offer to become Army Chief of Staff. He retired after 39 years in uniform. Gus Lee has written an inspiring story about one of America’s greatest post-World War II generals. We can all learn from the life lessons and personal values passed along from The Bear to Lee. 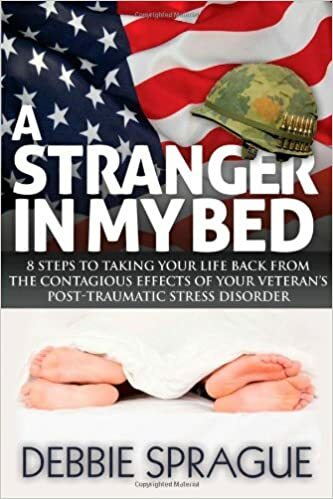 I finished reading Debbie Sprague’s A Stranger in My Bed: Eight Steps to Taking Your Life Back from the Contagious Effects of Your Veteran’s Post-Traumatic Stress Disorder (Morgan James Publishing, 360 pp., $24.95, paper; $9.99, Kindle) late at night. It had been a worthwhile, red-eye learning experience. Sprague, a certified life and career coach, begins her book with a painfully raw narrative of life with her Vietnam War veteran husband. The reader is taken into a world of darkness and chaos, confusion and fear, anger and hopelessness. The possibility of financial disaster is always on the front burner, and infinite frustration grows with the turn of each page. The most serious PTSD symptoms of the author’s husband began in earnest thirty years after he came home from Vietnam. It was as though he were pushing some kind of envelope, unconsciously crying out for help. Many will be able to relate to the author’s inclination to ignore small aberrations of behavior, hoping they would go away. The chapters describing the gradual dissolution of the couple’s marriage were heartbreaking. Little by little, Sprague’s husband would spend more time with friends where everything was fine, and less time with his wife where their marriage was one continual conflict. His purchase of guns added a serious threat. Daily life became so traumatic that the author herself was diagnosed with PTSD. Why didn’t the couple simply divorce and start their lives over? The answer to that question is what makes this book so different from other PTSD books I’ve read. Sprague loved her husband deeply despite his faults, and she was very committed to her marriage vows. Her courage and tenacity to stick has similarities to what a soldier in combat goes through in order to not turn and run. Thus began the turnaround in the life of a true heroine, and the fodder for an excellent PTSD reference book. Perhaps the most important thing Spraque explains is that while it is often impossible to change the actions of another person, it is always possible to change one’s own reactions to those actions. She also shares the sage insight that we can only make progress when we deal with reality and not illusions. Sprague’s use of biblical verses becomes more frequent as the book goes along. She uses sacred words in a realistic, practical way, though, and does not pontificate. “Way over the top” was my first impression of Peak Business Performance Under Pressure: A Navy Ace Shows How to Make Great Decisions in the Heat of Business Battle by Bill Driscoll and Peter Joffre Nye (Allworth Press, 210 pp., $19.95). The length of the title alone overwhelmed me. And then a flood of endorsements by admirals and a rousing blessing in the Forward by Sen. John McCain further wowed me. The wealth of hoopla turns out to be justified. Driscoll presents an inspirational blend of personal experience and advice from others in offering his formula on how to be a successful executive leader. And he does it with boundless enthusiasm. The blend includes his experiences from a forty-year association with the U.S. Navy Fighter Weapons School (TOPGUN) and twenty-six years of selling real estate, along with interviews with more than 200 senior executives and twenty-six Ace fighter pilots. Along with Randy “Duke” Cunningham, Driscoll became an Ace while flying 170 Navy F-4 Phantom missions in the Vietnam War. Driscoll opens the book with an account of his final mission in which his crew destroyed three MIGs before being shot down by a surface-to-air missile. That success had created momentary complacency that nearly killed the crew. The remainder of the book presents similar lessons. Success in any endeavor requires a person to “follow every element of the Peak Performance Formula, every day,” Driscoll says. Each element has its own chapter. The lessons contain steps to maximize success. 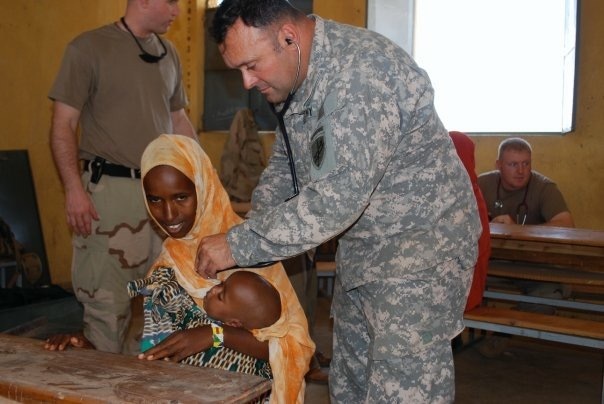 Each chapter ends with a probing question-and-answer “debrief,” much like what follows a combat mission. Overall, the text is to the point and personalized so that the reader easily becomes involved in the discussion. At the same time, the book resembles a training manual because it is interspersed with facts and advice that parallel the topic at hand. You don’t have to be seeking success in business to benefit from reading this book. Driscoll provides suggestions for behavior that can enhance just about anyone’s everyday life. Although highly zealous, he recognizes when enough is enough and helps the reader to do the same.